We won’t stop working to eliminate the root causes of breast cancer. 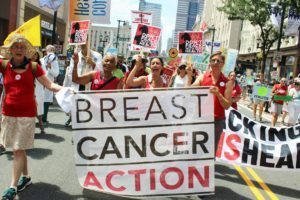 That’s because we know that breast cancer is a devastating disease, a public health crisis, and a social justice issue. The rapid expansion of fracking and dangerous drilling in the U.S. over the last decade, which has put the U.S. in a position to rival Russia as the top oil producing country, is an urgent public health threat. These toxic practices contaminate our air and water with chemicals known and suspected to increase the risk of breast and other cancers. And we are paying the price with our health and our lives. 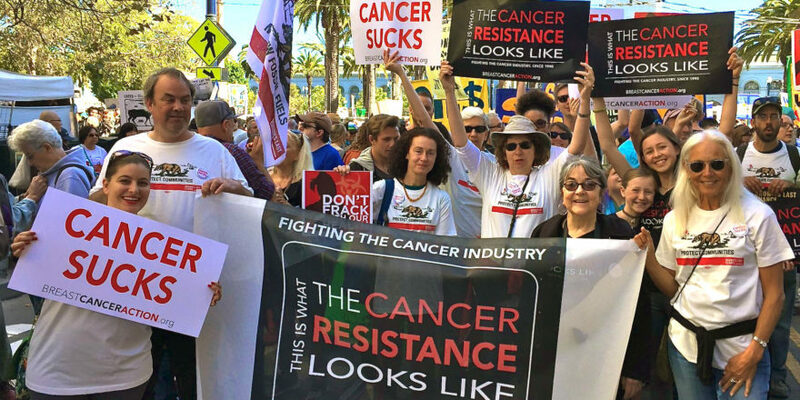 That’s why we’re calling on California Governor Jerry Brown to put an end to fracking and dangerous drilling that threatens to increase our risk of cancer—and contributes to climate change. California is the most populated state in the nation and more food is grown in California than in any other state. But it is also a top oil producing state. Gov. Brown has approved more than 20,000 new wells since 2011. These wells use hundreds of chemicals, many of which increase our risk of cancer and disrupt our hormones. Frontline communities, the people who live the closest to oil and gas sites, have an increased risk of asthma attacks, higher hospitalization rates, more rashes and upper respiratory problems, and a higher risk of cancer down the road. We’re committed to making sure no community bears a disproportionate burden of breast cancer, and we’re not letting Gov. Brown off the hook. Along with our partners, we’ve hosted public forums and webinars with experts to educate decision makers about the health harms of fracking and dangerous drilling. We’ve shared our educational materials and met with legislative aids to urge for action to protect public health. But Gov. Brown hasn’t taken action, even after a taxpayer-funded report. So we’ve rallied at the State Capitol and marched in Oakland and delivered your petitions and hundreds of postcards calling for Gov. Brown to stop fueling cancer. He refuses to take action. So we’re taking to the streets. Right now, along with our Brown’s Last Chance partners, we’re again escalating our tactics to urge Gov. Brown to scrap his oil industry-friendly policies and put public health (and the planet) before the interests of Big Oil. There’s still time for Gov. Brown to use his power before he leaves office to protect our health and the health of frontline communities. It’s time for Gov. Brown to stop issuing new oil and gas permits and commit to a just transition to safe renewables. It’s time for Gov. Brown to be a real climate leader. If he doesn’t, the only mark he’ll leave on history will be a giant oil stain. September 13 – Save this date for a follow up action. Click here to learn more. And check back for more details soon. Not in the SF Bay Area? Join us in action by signing the petition to Gov. Brown calling on him to stop fueling cancer and climate change.